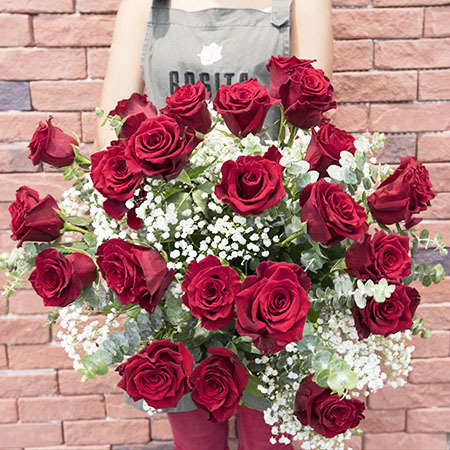 Red extravaganza expresses an elegant red romance with our 24 premium red Colombian roses and fresh seasonal fillers. According to superstition each rose symbolises an hour of the day, conveying an undying love throughout the 24 hours of a day. This splendid bouquet is an amorous gesture for all occasions. *24 roses included only in the standard (as displayed) option. Amount of roses may vary with size selection.